Welcome to SysKem Chemie GmbH ! Flexibility, competence, fairness and reliability are the pinciples of our philosophy and the necessary basis for the relationships with our customers and suppliers. 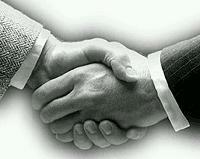 We know that only satisfied customers guarantee success in the chemical business. We will be demanding of ourselves and work relentlessly to serve you as a satisfied customer ! fast, but secure shipment all over the world. The possibility to combine different products in combined shipments help our customers to save money and to reduce the cost for stockholding and transportation. We offer a wide range of different chemicals starting from organic acids for the plastics and resin industry , special additives and inhibitors for the production of lubricants and even covering some very specialized products for the electronic- and pharmaindustry. Different packings and combined shipments, controlled processing and detailed analysis procedures ensure our customers that they receive our products just in time and in superior quality. 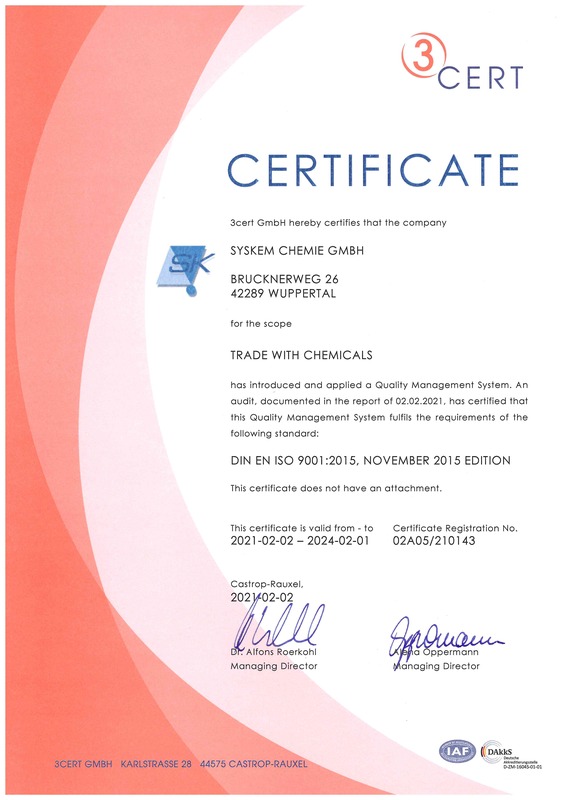 We are proud to inform that we have implemented and mantain a Quality Management System.